Moving out of an apartment, house or office is a great task that requires strength and quickness. Nidias Cleaning Services is a company that is here to offer move out cleaning in Simi Valley CA; for years we’ve dealt with helping our customers cleaning their spaces when moving out of a certain property. Are you in need of reliable residential cleaning services or commercial cleaning services or any other cleaning services in Northridge CA? Nidias Cleaning Services is a company that has dedication and integrity to provide down to detail services to maintain your surfaces spotless. Nidias Cleaning Service is a company that has multiple years providing trustworthy services as house cleaners in Simi Valley CA. We are careful to watch out on all the details that make your home or commercial office cleaned. Do you need help with your cleaning duties? You’ve come to the right place! Nidias Cleaning Service is a team that is reliable to meet high quality cleaning services in your residential property. 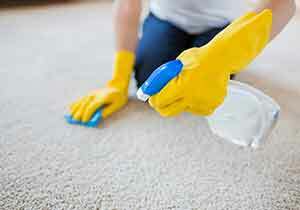 We are trustworthy house cleaners in Thousand Oaks CA. Impressing your customers and potential clients can be achieved through neat environments. Nidias Cleaning Service is a team that offers reliable and trustworthy janitorial cleaning services in Simi Valley CA. Nobody performs janitorial cleaning services in Woodland Hill CA better than the professionals at Nidia’s Cleaning. Maintaining your commercial property in tiptop shape is essential as a dirty shop will never attract clientele. Our more than qualified professionals from Nidia’s Cleaning perform the best janitorial cleaning services in the area. Are you looking for a reliable company offering cleaning services in Thousand Oaks CA? Nidias Cleaning Service is a team that resides in California, and is capable of delivering impeccable and thorough cleaning in your residential or commercial property. It takes far more than skills to have a reliable cleaning company, and we pride to being a top solution whenever you need top of the line and efficient cleaning services! Nidias Cleaning Service is a company that is trustworthy to provide thorough janitorial cleaning services in Thousand Oaks CA. Moving out of your apartment or house is never an easy task, but our team is here to make it much more affordable and cleaner. Nidias Cleaning Service is a team that has the efficiency and equipment to perform your move out cleaning in Thousand Oaks CA. Keeping a property clean is tough, no matter the size or extension that a residential or commercial property has it will always need cleaning—luckily for you, Nidias Cleaning Services offers outstanding and reliable janitorial cleaning services in Northridge CA. Instead of spending your down time on a tedious task such as cleaning your entire household, leave the house cleaning to our house cleaners in Northridge CA. For multiple years, Nidia’s Cleaning Services has performed the best office cleaning and house cleaning in the community. After you are done packing the dishes, freed up your garage space, and hired your movers, the next step is to think about move out cleaning in Northridge CA. Having the professionals from Nidia’s Cleaning perform deep cleaning can be extremely beneficial. Nidia’s Cleaning leads the best cleaning services in Woodland Hill CA. Our thoroughly trained and equipped professionals specialize in residential cleaning services and commercial cleaning services of high quality. We help our clients achieve a peace of mind through the cleaning solutions that we bring to the table. After spending a long day at work, the last thing you want to do is come home and clean. Leave your property in the hands of house cleaners in Woodland Hill CA and maintain your property in pristine condition. Nidia’s Cleaning is always the intelligent choice in professional house cleaning services. When it comes to move out cleaning in Woodland Hill CA, there is only one team for the job and that is Nidia’s Cleaning. Moving cleaning services are done belter whenever Nidia’s Cleaning is on the job. We have you covered by taking care of your needs from start to finish of cleaning processes. 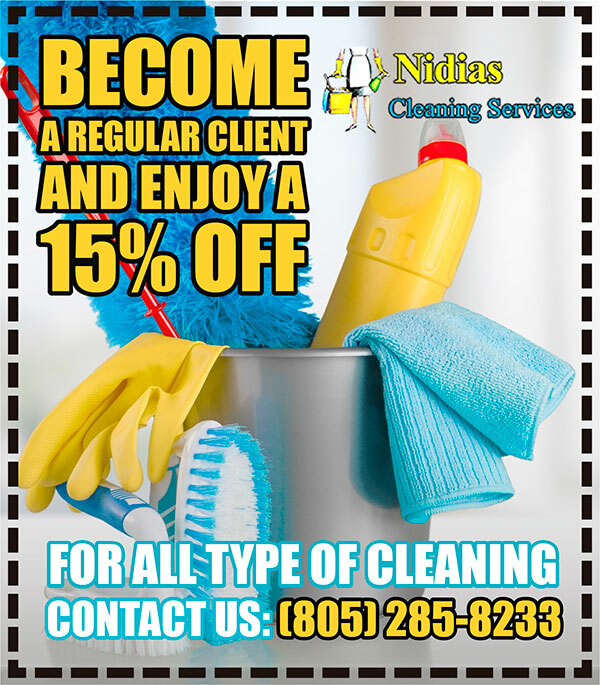 Nidia’s Cleaning leads the best cleaning services in Camarillo CA. Residential cleaning services and commercial cleaning services are performed in excellence when performed by us. For many years, we have offered the best house cleaning and office cleaning in the area- and now, we are here to service to you. Hiring the best janitorial services in Camarillo CA is essential for the good conditioning of your property. Maintaining your business in pristine condition is anything but easy, but luckily, for you, Nidia’s Cleaning is passionate about what we do. Through our superior janitorial cleaning services. Being able to come home to a completely clean and organized property makes any property owner feel great. Nidia’s Cleaning is the well-known house cleaners in Camarillo CA. We perform our cleaning services according to the individual needs of our clients. We go the extra lengths to achieve a customized cleaning service for you. When you are in the process of packing boxes, and hiring movers, the last thing you probably want to worry about is the moving out cleaning. We make things easy on you, by taking care of your move out cleaning in Camarillo CA. If you’re too busy with work, and haven’t had a lot of time to get around to cleaning up your residence, you are going to need a company that is effective and one that you can trust. And that’s where Nidias Cleaning Service comes in. We are the most diligent and trustworthy cleaning company in the region. Here at Nidias Cleaning Service we care about your health, safety and comfort, that is why we strive to always deliver high quality cleaning. WE DON'T CUT CORNERS WE CLEAN THEM!! When looking for a contractor to provide cleaning services in Simi Valley CA you could always approach our company! 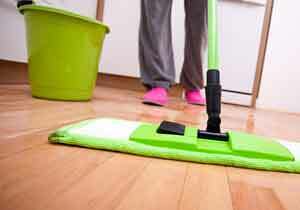 Nidias Cleaning Service is proficient handling commercial cleaning services as well as residential cleaning services. Nidias Cleaning Service is a company that is reliable to meet our clients’ expectations and demands, and for that, the first thing we ask our clients is if they have cleaning priorities; hence, we deliver them firstly in the minimal amount of time. Our cleaning services in Simi Valley CA have been able to stay on top of the competition due to our professional handling of premium products. Our company throughout the years, has been able to perform top cleaning services in Simi Valley CA because of our professional input. We make sure to bring our checklist for all the tasks to be performed inside your property. From high dusting ceiling fan blades, window sills or floors we are the team that tackles all dirty spots and mud from your spaces. Get rid of unwanted debris, dirt and stains laying around your property with our team delivering neat, fast and quality cleaning services in Simi Valley CA. Call right now at (805)-285-8233 and request your FREE estimate on any of our categories. Our mission at Nidias Cleaning Services is to help our residential and commercial clients maintain organized and germ-free ambiences through the top cleaning service that we provide. Our vision at Nidias Cleaning Services is to become the community's most respected and trusted cleaning specialists through delivering first class solutions 100% of the time. Call right now at (805)-285-8233 and request your FREE estimate. About us: We always work within your budgets range while still delivering services that will indeed satisfy. We work around your schedule, and we have flexible work hours so that we can help you out whenever you may need it. We have years of experience in what we do, believe us when we tell you, that nobody else can provide high quality services like Nidias Cleaning Service. Copyright © 2019 Nidias Cleaning Service / All rights reserved.